The earliest computers were human. And, more often than not, female. It's fitting that Ada Lovelace, the daughter of Lord Byron and the partner of Charles Babbage, was the world's first computer programmer. For much of computer history, "computers" weren't just humans—people who sat doing the drudgery of repeated calculations that would, in turn, feed models and algorithms. The computers were also, often, women. In his history When Computers Were Human, David Alan Grier (this Grier, not that Grier) tells the story of those early computers—and of women, in particular, who used painstaking calculations on paper and, later punch card to make new scientific and literary discoveries. One of the earliest human computers was Nicole-Reine Lepaute, the wife of France's royal clockmaker who was also, in her own right, a mathematician and an astronomer. In the 1750s, Lepaute put trigonometric methods to use as part of a three-member team—a team many call "the first example of organized human computing"—that attempted to predict the return of Halley's Comet after the object's 76-year absence. The group was able, using nothing but triangulations and the nib of a quill, to pinpoint the comet's return to April 13, 1758—only a month off of the comet's actual return, on March 13. The group was typically post-Revolutionary in another way, as well: It was composed of wig-makers who had been rendered unemployed with the economic downfall of the aristocracy. In that, the group's work set a significant precedent: It "conferred no prestige." It was factory labor, essentially, that required mental concentration instead of physical. It was, as the Christian Science Monitor had it, "numerical needlework." There were other groups like this. Pickering's Harem (more politely: the "Harvard Computers") processed astronomical data in the late 19th century. Annie Jump Canon, one of Pickering's hires, used astronomical calculations to develop the Harvard Classification Scheme. Another computer, Henrietta Swan Leavitt, made discoveries that would lead Edwin Hubble to develop his theories about the expansion of the universe. 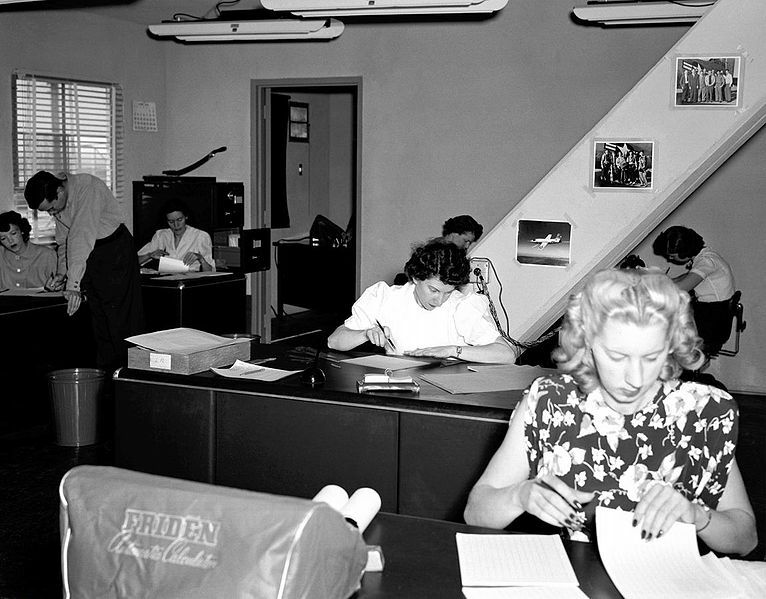 And the wives of scientists working at Los Alamos were often recruited to compute long math problems that would inform the technologies of the Manhattan Project. War brought more females to the field, as it did in other technological industries. 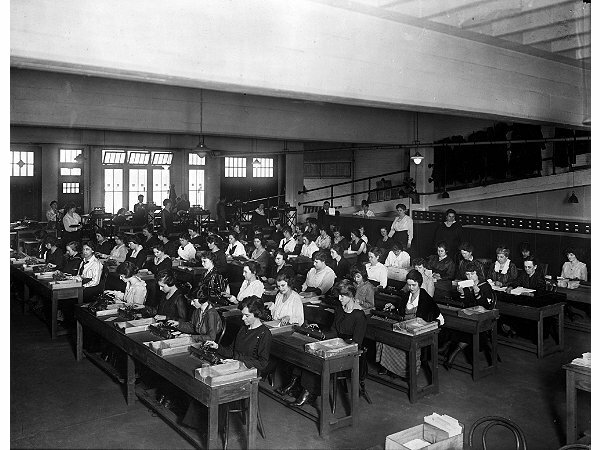 As men fought world wars, and as the wars themselves increased the demand for computing power, even more women took on roles as human computers. By the time World War II broke out, many scientists and industrialists in the U.S. were measuring computing power not in megahertz or teraflops, but in "kilo-girls." And computing time was measured, in turn, in "girl hours" (with complex calculations requiring a certain amount of "kilo-girl-hours"). 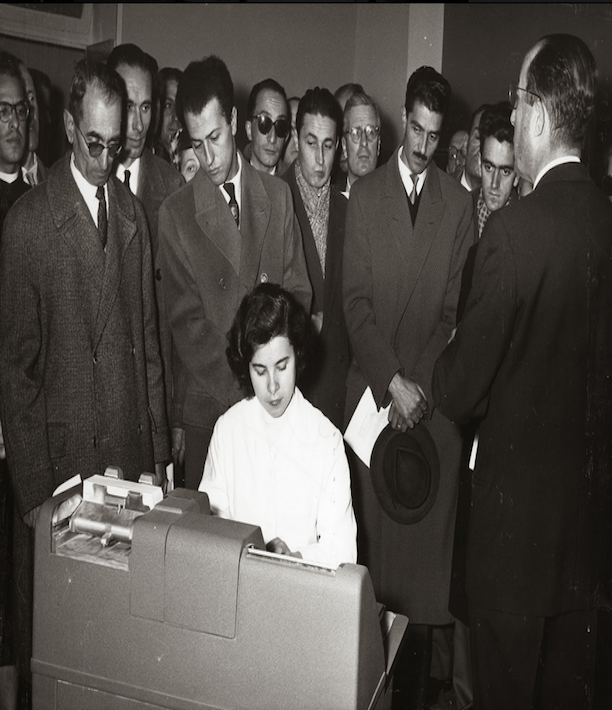 By the 1960s, as computer technology developed, the women who took the name of "computer" were eventually replaced by machines of a more mechanical variety. The final wide-scale effort at human computing was the Mathematical Tables Project, a New Deal initiative that sought to produce tables that could be used "not only by mathematicians and astronomers, but also by surveyors, engineers, chemists, physicists, biometricians, statisticians, etc." The Work Projects Administration's requirements for the project were telling. Its first requirement was that the computing operation be labor-intensive. Its second? That female hires would comprise no more than 20 percent of the computing staff.